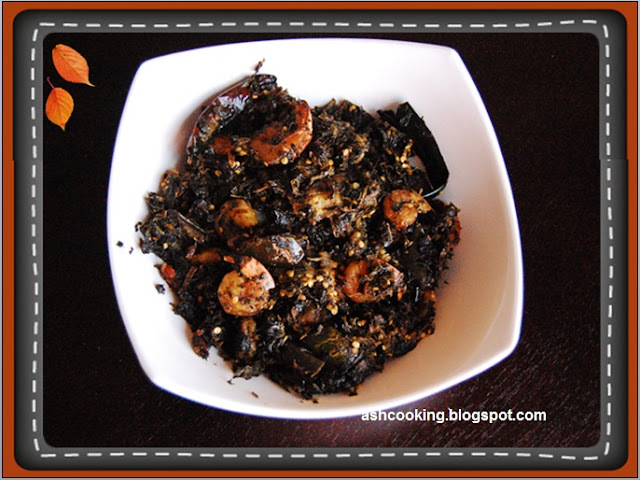 This is an exotic recipe of prawns cooked with lal shak or red amaranth leaves. After an extensive search made throughout Ohio, we finally have traced a market that not only sells fishes but also the greens and vegetables not easily available in US. Red shak or red amaranth leaves are potent source of vitamins and minerals. It is also very low in cholesterol and saturated fat. The mushy eggplants combined with red amaranth leaves with a fine addition of prawns make it a compact package of nutrition which simultaneously pleases your taste bud. One of the many health benefits of eating prawns is it is a powerful source of selenium which is believed to impede the growth of malignant cancer cells. Also, the fact that prawns are low in calories as opposed to meat and beefs makes it a popular and tastier option for many over other food choices. 1) Heat oil in a pan. Add dry red chilies, black mustard seeds and chopped garlic. Allow them to crackle. 2) Add the prawns and shallow fry till prawns turn golden brown in color. 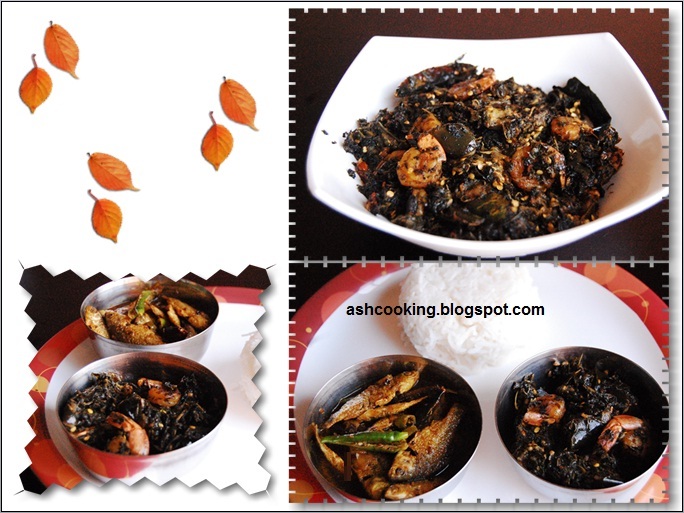 4) Serve hot with steaming rice.